All of the artists we know paint the old-fashioned way: with a brush. But we’re fairly awed by what you can do with a mouse or a tablet. The new Corel “Painter 2019” is out, and it’s worth taking a look at what artists are doing with it. Some of these people start with a photo, and produce the kind of work sold at art festivals. After some digging we found them on Instagram. Go to Instagram.com/CorelPainter to get a little awe for yourself. We were curious about trying it ourselves. So we installed the free trial version from painterartist.com, and clicked on “Discovery Center” inside the program. This was Joy’s job, and she encountered some difficulty right away. Tutorials have to be approved by a long line of corporate types who feel they have to make some changes or they’re not doing their job. All bases must be covered. The trouble with covering all the bases is that long before you’ve touched them all, you feel like dumping the whole program. In short: Too much information. Much too much information. Hacking her way through the underbrush of Corel tutorials, she was intrigued to see one titled “painting like Bob Ross.” Though now deceased, Ross still appears on public television in re-runs and they’re still popular. 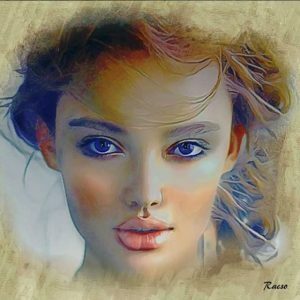 This software will not paint a Bob Ross painting for you, but explains his methods. Go to Learn.corel.com/tutorials/paint-your-very-own-mystic-mountain. The biggest change in the latest version of Painter is its look and speed. Everything loads much faster, and the background is dark so as not to intrude on your art. They’ve added more brushes, like Real Watercolor, Real Wet Oil, and Sargent. Video game designers and concept artists can paint with five new patterns. If your Windows computer has a touch screen, you can use your fingers to reset a picture, zoom in or out of the scene, or pan around. The program isn’t cheap at $429, but there is an “education edition” for only $99. Many companies have these education version deals, and usually you just have to give a student or faculty I.D. ; sometimes you don’t have to show anything. If you want to try other digital art programs for free, and have already finished the Corel Painter free-trial period, try “MyPaint,” “Gimp,” and “Krita,” all available as a free download. All of these are compatible with a Wacom tablet, though setting up Gimp looks tricky. If you’ve always wanted to be a movie producer, here’s your chance. A company called “3Roads” will make your production available on Amazon Prime. And they won’t charge for it. We looked at several homemade videos that ended up as choices for Amazon Prime users. One was strictly for train buffs, but there are plenty of those. Another covered Civil War battle reenactments. 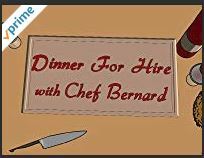 A third called “Dinner for Hire with Chef Bernard,” takes you into a house party to see how a professional chef prepares party food. A fourth, “Chasing Taste,” is about a desperate novelist who becomes a food critic. Another, “Heart Child” is about teaching autistic children to ride a skateboard. To get your video on Amazon, go to 3Roads.com and click “services.” Then click on “Amazon Prime distribution,” which is on the left side of the screen. There’s no charge for having it distributed, and you can even make money based on the number of minutes your video is viewed. If you do make money with your video, the distributor, 3Roads, gets 30 percent. Joy’s friend Margie sometimes complains about all the notifications she gets from a woman’s club Facebook page. But she doesn’t have to put up with that, and neither do you. Maybe you’re not part of any group but would like to be. On your phone, tap the three stacked lines and then click “Groups.”. Then tap “discover” and look at the various categories, such as “games,” “trending,” “funny,” “movies and TV,” “sports,” “local,” “travel,” and “parenting.” On your computer, click “Groups” off to the left of the home page, when you get there, click “Discover.” When you find one you like, click “join.” We just joined “Science Humor,” which has almost half a million members. Hopefully, they’re laughing. “The Trading Game” is a free app for Android and iPhones. It starts off teaching you about “Forex” or foreign exchange trading. Answer three questions right and you have $750 in play money to try trading it virtually. But they won’t let you spend it, even virtually, until you’ve taken more quizzes or read more about trading on their site. Maybe you’re the next George Soros. “Microsoft News” is a rival to Google News and others. Worth checking out if you’re a news-aholic. Bob likes to wait a year or two for any news to develop its full flavor. Fake news has changed the way people interact with Facebook. According to a Reuters report, they no longer trust it for news of the world. Worldwide, over half of participants in a research study said they were concerned about fake news. The highest concern is in Brazil, Spain and the United States. In Brazil, 85 percent of people are concerned, in Spain, 69 percent and the United States, 64 percent. It is lowest in Germany (37 percent) and the Netherlands (30 percent) where recent elections were largely untroubled by concerns over fake content.